This year, the JazzFestBrno festival has expanded its offer to include an "electronic" programme line named Tension. 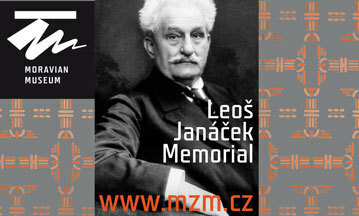 Within that series, the bands Zabelov Group and HRTL Spaghetti Ensemble appeared in the Praha space in Brno on 28 March. However, the two-hour concert, which took place on 5 April in the sold-out Sono Centre, was also ideologically close to this new series. The Manchester-based trio GoGo Penguin perhaps uses an instrumental layout of a jazz piano trio vetted by decades, but still oscillates around electronic music as a starting point in its albums and concerts. The difference against most of the other evenings of JazzFest was that this one offered only one performing formation (hence it was not a usual two-band concert), however, there was a break in the middle. At the same time, the short intermission did not serve only to refresh the performers and spectators, but it also had its – perhaps unintended – role as part of the grading dramaturgy of the evening,. But let us not rush ahead too far. 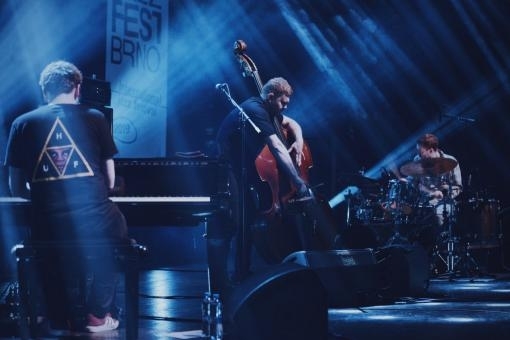 The trio, which consists of pianist Chris Illingworth, double-bass player Nick Black and drummer Rob Turner, does not hide the fact that it uses electronics to create the compositions and only then transforms this "artificially" created music into the acoustic speech of its instruments. The resulting sound does not lose strong (although mostly straightforward) piano melodies or acoustic double bass solos, but a distinctive competitor to them is the unconventional drum performance, reminiscent of the beats of the automatic drummers of the early 1990s. All of this, however, is just a foundation on which the gentlemen graft additional more or less surprising features – a double bass bow play, which, with the use of effects and unconventional technique, reminds of space synthesiser sounds, or possibly hypnotic repetitive sequences played on the piano. Thanks to the sound production, the boundary between the truly acoustic sound and its electronic "elongation" (or "extension" – following the pattern of Marshall McLuhan's media theory) gradually blurs, which, combined with the really excellent acoustics of the Sono Centre, creates a massive attack on the ears that an unprepared listener does not expect from a jazz trio. Of course, the question is whether GoGo Penguin can be called a jazz trio at all. Formally, it obviously does draw from jazz, uses jazz techniques, but the proportion of "primitive" dance music features seems to shift its compositions to contemporary pop music. However, playing with words seems unnecessary here – it is a music that can appeal to a tolerant listener of jazz as well as an open pop or electronic music aficionado. GoGo Penguin songs have a rather complex structure, although in some cases this may not be obvious at first glance. The trio works with dynamics and breaks, with tempo changes and, above all, with contrasts – the tranquil piano is often accompanied by nervous and/or machine rhythms, but it also works the other way around. Somewhere all these three instruments create a compact plastic sound (In Amber), elsewhere, the bass and drums join the lead piano in a jazz manner (Window), and still elsewhere, the pianist performs a wide range of expressive means as if by the way, while the drums catch most of attention on themselves with their original figures (Raven). It cannot be said that only quieter and more acoustic songs dominated in the first half of the concert, while in the second part the band preferred (pseudo-)electronic moments, however, some shift and gradation in the direction indicated still did happen. And there was an important role played by the aforementioned intermission, which separated the two halves of the performance and helped the gradation of the whole evening, which rightfully ended with standing ovation. The use of electronic aesthetics in jazz is nothing really new – already several decades ago, Herbie Hancock and many others attempted at that. The combination of jazz with hip hop, electric funk or soul is also pretty common today. However, GoGo Penguin have interconnected the language of machine music with the format of an acoustic piano trio (!) the way hardly anyone other has ever done before. The result is a path that may not be the most progressive in terms of composition, but it is definitely not a cul-de-sac. And the concert in Brno was truly great – thanks to the excellent instrumental mastery of all the three musicians, but also thanks to the futurist premises and acoustics of the Sono Centre.